Whether our clients choose to travel with a scheduled or low cost airline, Spitfire Travel have all the routes covered with all the scheduled airline carriers and of course we offer the full range of low cost airline carriers, including Ryanair, EasyJet and Jet2. With flights from all regional and international airports throughout the United Kingdom. 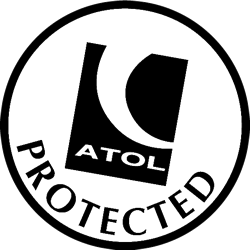 All our air packages are fully ATOL protected and you will receive an ATOL certificate with all your air booking confirmations. If you prefer to travel by rail we have special rates on Eurostar to key cities such as Paris and Brussels, with onward connections to hundreds of other destinations on the European rail network. Travel is also available from your local rail station. Once our clients have arrived at their destination we can offer a transfer to and or from your chosen hotel. We have negotiated special rates for our clients and are pleased to offer shuttle and private transfers, but can also offer our more discerning clients a personalized meet and greet service at most of our destinations. We know that our clients’ time on a city break is precious, that’s why the team at Spitfire Travel have sourced some fantastic tours and excursions to make our clients’ holiday even more memorable and enjoyable. When making a booking with our reservations team, please remember to ask about the exciting tours and excursions we have available at their chosen destination.